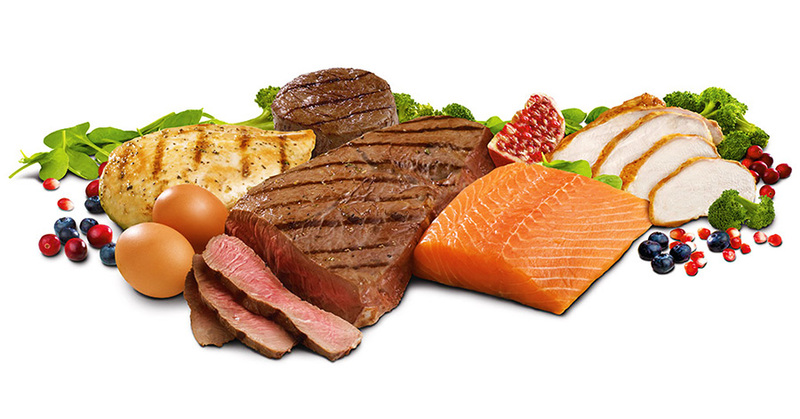 Your body requires a certain amount of protein which is made of amino acid chains. Essential amino acids are those your body does not create on its own and must be obtained from outside sources. These nine ringers are required to form a complete protein. Non-essential amino acids are those that your body produces itself. There is actually a third group, referred to as semi-essential, with only two amino acids in it. A better term for these might be conditionally essential because the body can create them on its own in specific situations. When your body does not receive adequate amounts of these two amino acids from your diet they are manufactured by robbing your body of other amino acids. The element of this that many individuals do not understand is protein bioavailability. Athletes are aware that they must bone up on amino acids, especially certain ones. Your body requires a certain amount to repair tissue and rebuild muscle, whether you are an athlete or not. Of course, if you follow an intense weight training regimen, you need more. The bioavailability of a protein dictates how easily it may be broken down to form amino acid chains that your body needs at that time. It does not do much good to eat a crap load of something, regardless of what it is, if your body cannot make use of it. You must take steps to increase the bioavailability of the proteins you consume. In fact, you should aim to intensify the bioavailability of all nutrients you eat. It is pretty common for protein fiends to concentrate on which proteins are best. Many neglect determining exactly what to eat in order to metabolize the highest level of those proteins possible. So first, take a look at classifying proteins (1) themselves. It is probably a given that athletes, endurance and weight trainers require a great deal more protein than the general population. While animal protein is extremely valuable, this does not negate the value of plant protein. You must simply educate yourself on the best sources and combinations as well as monitor your intake for optimal health. Casein increases your protein synthesis for an extended time period. It is believed that it may be the most beneficial resource. Casein is one of two proteins found in milk and you metabolize it slowly. The other is whey; however, you digest it quickly. Eggs are an excellent source of highly bioavailable protein. There are also a number of protein supplement drinks on the market today. These are generally protein power packed (1a) or designed with smaller amounts of protein which are easier to digest (2a). Keep in mind that while having a drink or two is not harmful, habitually consuming large amounts of alcohol can dramatically inhibit protein synthesis. In order for you to digest, break down and actually use, protein you eat requires a group of protease enzymes. The protease enzymes should be from a balance of acidic, alkaline, and neutral sources. The list below will help you understand which specific enzyme breaks down protein. Remember that your pancreas (2) manufactures proteases and is the leader in protein synthesis. Protease refers to an enzyme group which deconstructs proteins from nuts; other plants; whey; casein; eggs; and meats. Pepsin breaks proteins down into peptides. Peptidase reduces smaller peptides (proteins) into amino acids. Trypsin is secreted by the pancreas. It deconstructs protein and incites other proteases. Bromelain breaks a wide spectrum of proteins down. Papain is capable of deconstructing both large and small proteins. The next step is to discover what food sources provide these enzymes. 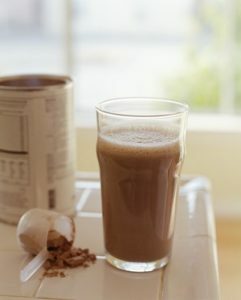 Increasing your dietary intake of them will increase your level of protein hydrolyzing enzymes. This assists your body in being able to deconstruct then reconstruct proteins into the forms your body needs. Two of the proteolytic enzymes discussed above are simple to obtain from common foods. These are bromelain and papain. 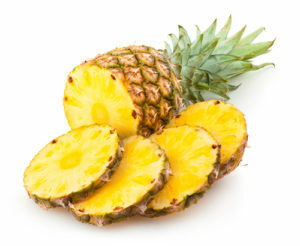 The popular suggestion for sourcing bromelain is pineapples. The peel and flesh of the fruit, its juice, and stem all contain this protein hydrolyzing enzyme. It is a common ingredient for supplements for digestion and, for this purpose, is usually harvested from the stem. This way the rest of the pineapple may be utilized for other market purposes. This enzyme is also said to reduce internal inflammation (3). Papain is another regular component in digestion and/or weight loss supplements (3a). This plant may sometimes be listed as the Carica papaya, Tree Melon, or Paw Paw. Papain is abundant in all parts of the papaya plant including the latex sap; roots; leaves; and fruit. The richest source is female plant’s immature fruit. Bromelain, described above, and papain are often used together to create extremely effective supplements for different aspects of digestion. 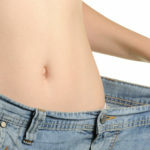 These range from weight loss to internal inflammation reduction. Both are also used in topical wound healing formulas. Papain is resistant to most fungi; a great antioxidant; and immune system booster. The other types of proteolytic enzymes mentioned earlier cannot truly be found as food sources. You can include probiotic foods which are extremely effective for digestive support. Probiotics are beneficial microorganisms found throughout your digestive tract. They support the digestive system and health as well as your entire immune system. There are probiotic supplements; however, there are also a number of natural sources. Miso Soup is a Japanese creation consisting of fermented beans, rye, barely, or rice. One tablespoon of miso hot water is a probiotic rich soup. Yogurt is perhaps the best and simplest to obtain source of probiotics. Kombucha is a type of tea which has been fermented. Mircoalgae is a good source of probiotics which is easy to incorporate into smoothies. Kefir grains are fermented and added to goat’s milk to provide another source rich in probiotics.